Firms that have existed for any length of time are likely to have risk management. Some of it was there from the start and the rest evolved in response to experiences. Much of it is very efficient and effective while some of the risk management is lacking in either efficiency of effectiveness. But some of the risk management that they might need is either missing or totally ineffective. It is somewhat hard to know, because risk management is rarely a major subject of discussion at the firm. Risk management happens in the background. It may be done without thinking. It may be done by people who do not know why they are doing it. Some risks of the firm are very tightly controlled while others are not. But the different treatment is not usually a conscious decision. The importance of risk management differs greatly in the minds of different people in the firm and sometimes the actions taken to reduce risk actually work against the desired strategy of the firm. The proponents of carefully managed risk may be thought of as the business prevention department and they are commonly found to be at war with the business expansion department. ERM takes risk management out of the background and makes it an open and transparent primary activity of the firm. ERM does not push any particular approach to risk, but it does promote openly discussing and deciding and documenting and communicating the approach to each major risk. The risk appetite and tolerances are decided and spoken out loud and in advance in an ERM process, rather than in arrears (and after a major loss) as is more often the case with a traditional risk management program. Transparency is like the math teacher you had in high school who insisted that you show your work. Even if you were one of those super bright math geeks who could just do it all in your head and immediately write down the correct answer. When you wrote down all of the steps, it was transparent to the math teacher that you really did know what you were doing. Transparency means the same sort of thing with ERM. It means showing your work. If you do not like having to slow down and show your work, you will not like ERM. ERM is based upon setting up formal risk control cycles. A control cycle is a discipline for assuring that the risk controlling process takes place. A discipline, in this context, is a repeatable process that if you consistently follow the process you can expect that the outcomes from that process will be more reliable and consistent. A pick-up sports team may or may not have talent, but it is guaranteed not to have discipline. A school team may have a little talent or a lot and some school teams have some discipline as well. A professional sports team usually has plenty of talent. Often professional teams also have some discipline. The championship sports teams usually have a little more talent than most teams (it is extremely difficult in most sports to have lots more talent than average), but they usually have much more discipline than the teams in the lower half of the league. Discipline allows the team to consistently get the best out of their most talented players. Discipline in ERM means that the firm is more likely to be able to expect to have the risks that they want to have. ERM is focused on Enterprise Risks. In RISKVIEWS mind, Enterprise Risks are those risks that could result in losses that would require the firm to make major, unexpected changes to plans or that would disrupt the firm (without necessarily causing losses) in such a way that the firm cannot successfully execute the plans. Enterprise Risks need to be a major consideration in setting plans. 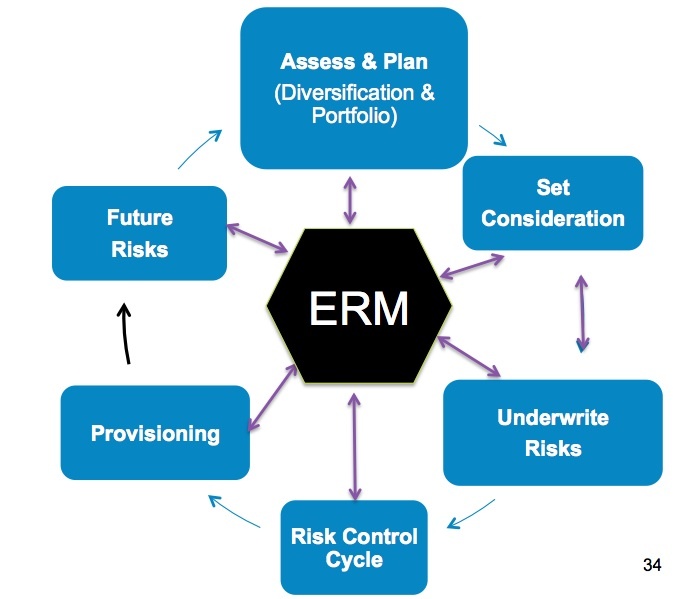 Through discussions of Risk Appetite and Tolerance and returns for risks and the costs of risk mitigations, ERM provides a focus on alignment of the risk management with the strategic objectives of the firm. To use another sports analogy, picture the football huddle where the quarterback says “ok. Everyone run their favorite play!” Without ERM, that is what is happening, at least regarding ERM at some companies. Alignment feeds off of the Transparency of ERM and Discipline provides the payback for the Alignment. RISKVIEWS has commented many times that Risk MANAGEMENT is not a spectator sport. It is all about DOING. If Risk Management never results in the firm DOING something different than what would have been done before Risk Management – then STOP IMMEDIATELY. You are wasting your time and money. The DOING part of Risk Management is not particularly tricky or difficult. 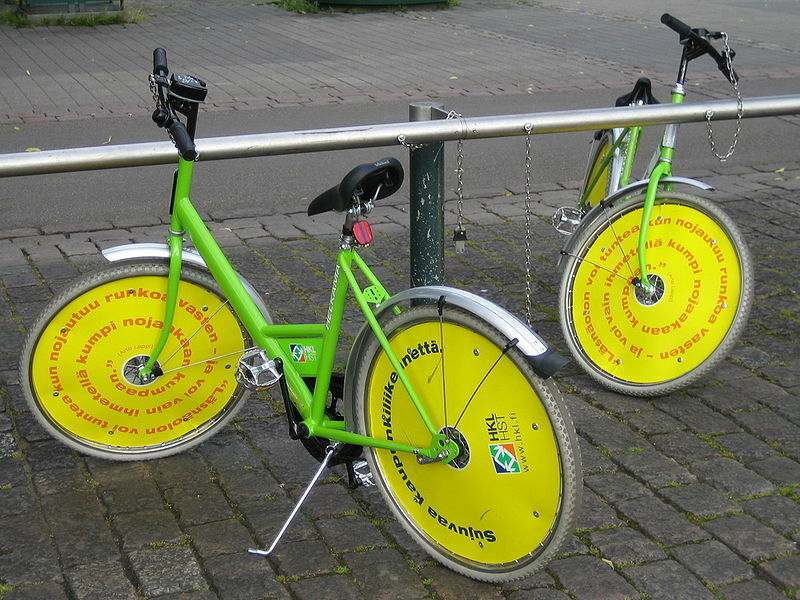 Doing ERM is accomplished with a Control Cycle. In fact Doing ERM is accomplished with one control cycle for each major risk and one control cycle over all risks in total. WillisWire has recently featured a piece on risk limits and the risk control cycle that would apply to each major risk. A Risk Control Framework (RCF) can be considered as the measuring stick against which risk management performance will be judged. It is right at the heart of the co-ordinated activities used to control an organisation with regard to risk, that is risk management. The effective management and leverage of risk should add to the bottom line of an organisation that implements it. The risk control framework is a central tool in an organisations armoury, that can be used to ensure that the organisation achieves its strategic goals, with regard to an accepted and monitored level of risk. There needs to be committment at a high level to managing the risk, and this should be transparent. This would involve the risk managers having a very clear view of what the company does and not just trying to avoid risk. It should be undertaken to the extent that it pays for itself, although this is hard to measure. Ownership and implementation by all is required as a risk in one small section of the organisation can be a serious threat to the whole organisation. A RCF would need to be bespoke and fit the organisation’s Vision, Mission, Objectives, Strategy and Tactics (VMOST). <An organization’s vision is all about what is possible, all about potential and may be aspirational. The mission is what it takes to make that vision come true. Happy to change the words or put in a definition, the point being that there is a bigger picture view of whats going on that the risk control frame work need to be informed by this. I really want to get across that the risk management need to be alighned, to what the organisation is trying to achieve >. Given much risk is derived from a company’s culture (think investment banking culture/ENRON etc), and that the ease of implementing the key stages will also depend on culture. For example if the risk control framework may be excellent on paper, but if it is not implemented effectively then it is not worth the paper it is written on. A clear goal of the RCF is to ensure clarity of the risks being managed along with appropriate accountability (with individuals) for ensuring effective action. Are there systems in place that can assist in risk identification and monitoring? Can an IT soution be implemented for subsets of systemic risk (e.g. aggregate monitoring for RI’s)? What are the legal minimums with respect to certain risks, how is compliance measured? Does strategic planning consider risk management, is it open to this, can risk management contribute? Does risk management have board level support? What is the organisations risk appetite? What is the organisations risk tolerance? Is the risk management function senior enough to have an influence? Do the risks need to be restructured so that a single individual/department can take the key responsibility for certain cross function risks? Is there a forum for considered emergent risks? Are there regional or location specific risks to consider, how integrated is the whole approach? Who makes the key decisions – who is involved – is this structured? Does risk management get a seat? Are staff time poor, are there dedicated risk staff in business units? Is risk perceived as compliance rather than business driven? Is there suffienct understanding of what is risky and what is unknown? infighting between depts, risk mgmt seen as an inhibitor rather than strategic? Is the companies strategic vision emebeded in the culture, is each department headed in the same direction? Is there interdepartmental meetings happening or a siloed approach? How are decisions made, centralised vs local, is this effective, who has the final say? The above can act as a litmus test to perhaps assess the receptiveness or otherwise of the risk management in general, an important part is the links between the factors. For risk management to be effective it needs to be part of “the way things are done around here”, ie the companies culture. It can often be difficult to measure the effectiveness of effective controls as the events that the controls are in place to prevent never happen. This lack of event could be an effective control well implemented or an uneccesary control (similar to the old anti elephant powder joke). Below we give some definitions on the effectiveness of the RCF using the minimum criteria identified above. Risk identification – Not all significant risk exposures have been identified. Risk monitoring – Company’s risk monitoring is informal, irregular, and of questionable accuracy. Policies and limits – Risk limits are not documented or are so broad that they do not have any impact on operational decision making. Risk limits and policies are not widely known or understood. Risk Treatment – Risk-management activities are situational, ad hoc, and driven by individual judgment. Limit Compliance – Review of compliance of limits is irregular, and often there are no consequences for exceeding limits. Feedback – Company quickly puts loss situations behind it without review or with a review of extremely limited scope. Risk identification – Significant risk exposures are believed to have been identified. Policies and limits – Risk limits are documented, but they have limited impact prior to an event that is they do not have any impact on operational decision making. Risk identification – Company management has performed a process of identifying risks exposures and the most significant of those exposures. Risk monitoring – Company monitors all significant risks on a regular basis, with timely and accurate measures of risk. Policies and limits – Company has clearly documented policies and limits for risk taking and risk management that are widely understood within the company. Risk Treatment – Company has clear programs in place that are regularly used to manage the risks the company takes. Limit Compliance – Company has a process in place to see that risk limits and risk-management programs are followed as planned. Exceeding limits has clear, predetermined, and effective consequences. Feedback – Company has a loss post-mortem process to determine if its processes need improvement. Risk identification – Company management has performed a process of identifying risks exposures and the most significant of those exposures. This is holistic and done a part of the usual way of doing business. Policies and limits – Company has clearly documented policies and limits for risk taking and risk management that are widely understood within the company, these are embedded and part of normal routines, they never get challenged and don’t get in the way of the business. Risk Treatment – Company has clear and integrated programs in place that are regularly used to manage the risks the company takes. Limit Compliance – Company has a process in place to see that risk limits and risk-management programs are followed as planned. Exceeding limits has clear, predetermined, and effective consequences, although in practice risk limits are amolst never challenged. The seven principles of ERM for Insurers can be seen as forming an Enterprise Risk Control cycle. The cycle starts with assessing and planning for risk taking. That process may include the Diversification principle and/or the Portfolio principle. Next to the steps of setting Considerations and Underwriting the risks. These steps are sometimes operated together and sometimes separate, usually depending upon the degree to which the risks are small and homogeneous or large and unique. 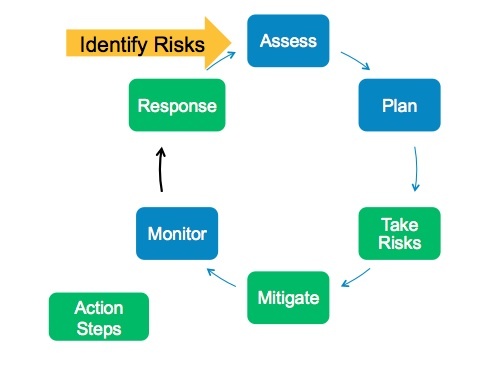 The Risk Control cycle is then applied to the risks that have been accepted. That step is needed because even if a risk is properly priced and appropriately accepted, the insurer will want to manage the aggregate amount of such risks. Within the risk control cycle, there is a risk mitigation step and within that step an insurer may choose to reduce their total risk or to increase their risk taking capacity. Risks that have been accepted through the underwriting process and that the insurer is retaining after the risk control cycle process must be assessed for Provisioning, both for reserve and capital. Finally, for this discussion of the ERM Cycle, the insurer needs to consider whether there are additional risks that have been unknowingly accepted that may emerge in the future. The Future risk principle provides a path for that step. For the ERM Cycle, there is actually no such thing as FINALLY. As a cycle, it repeats infinitely. The picture above has many two headed arrows in addition to the one way arrows that represent a single circular process. The ERM idea sits in the middle of these seven principles. The ERM idea is the idea that an insurer will follow a cycle like this for all of the risks of the insurer and in addition for the aggregation of all risks. This will be done to protect all of the stakeholders of the insurers, policyholders, stockholders, bondholders, management, employees and communities to the greatest extent that their sometimes contradictory interests allow. Most firms will put different degrees of emphasis on different elements. Some will have very faint arrows between ERM and some of the other principles. Some insurers will neglect some of these principles completely. It may be that the choice of which principles to emphasize are tightly linked with their view of the risk environment. Losses from a once in a hundred year storm could not exceed a quarter’s earnings. For the quantifiable risks that banks and insurers have aplenty, that is exactly how a risk limit needs to read. It must state a frequency (once in a hundred or 1%) and a severity (one quarter’s earnings). That sort of simple clarity seems to escape most financial firms. Probably that is because they have little experience with the frequency part of that statement. Think of this analogy. You are sitting there in an office building deciding what to set as the speed limit for a new transportation system. That system has newly designed roads and vehicles. You do not know the tolerances of either the roads or the vehicles. 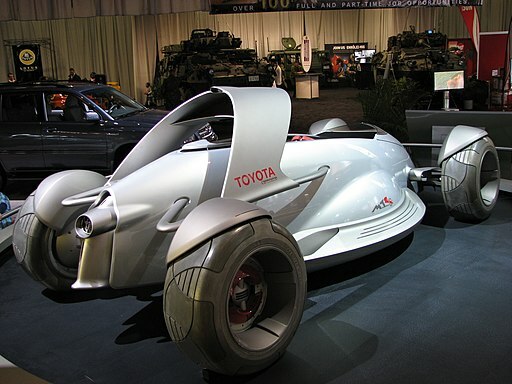 You have been a passenger on test runs, but during that test, you were not shown the speeds that the vehicle was going. What might make sense in that situation, would be for the person being asked to make the decisions on speed limits to be told what speed that they had been going on the long straight-aways, on the gradual curves, the sharp curves and how long it took to stop the vehicle at various speeds. In addition, more trips, more experience, should be undertaken and the speed of the vehicle should be noted under various weather conditions as well as types of roads. Polls often reveal that the most common shortfall of ERM development is in the area of Risk Tolerance and Risk Appetite. In many cases, that shortfall is due to the inexperience of management and boards with the frequency information. There is no shortcut to getting that experience. But there are simple exercizes that can be undertaken to look at prior experiences and tell the story of just how fast the firm was going and how severe the weather was. The best such exercize is to look backwards in time over the recent past as well as to famously adverse periods in the more remote past. For each of those situations, the backwards looking frequency can be assigned. This is done by looking at the current risk model and determining the frequency that is aligned with the level of gains losses that were experienced in general. That frequency is analogous to the weather. Then the risk analyst can look at the firm’s own gain or loss experience and the frequency that the model could attribute to that size gain or loss. Once a firm has some comfort with frequency, they can write a real risk appetite statement. And after that, they can go through an exercize each year of deciding what frequency to assign to the experience of the year’s gains and losses.